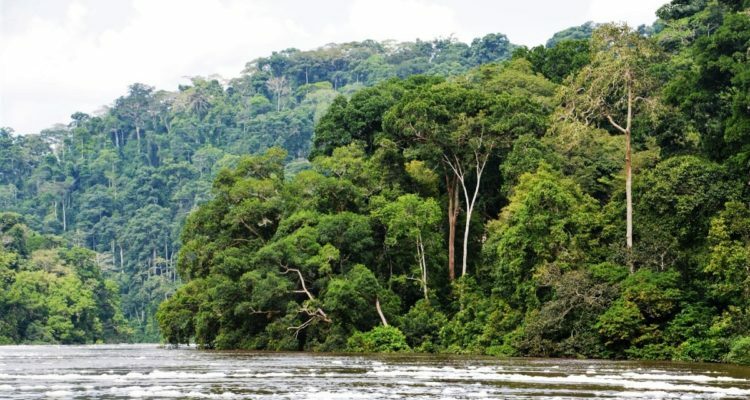 The Djoua Ivindo Forest is a sparsely populated forest region located in the heart of the Tri-National Dja Odzala Minkebe (TRIDOM) Forest Landscape, shared by the countries of Cameroon, Gabon, and the Republic of Congo. It contains an important population of forests elephants, a very large population of great apes, monkeys, rare aquatic species and other wildlife. Tragically, this area is also a hotspot for wildlife crime. Elephant poaching and ivory trafficking are rife, with cross-border networks operational here. Bushmeat trade, mining, and large-scale infrastructure development also pose a threat to great apes and other wildlife in the region. This project implemented by WWF aims at stabilising great ape populations and halting the decline of elephant populations by 2020 in partnership with governments, park authorities, communities and companies in the Djoua Ivindo Forest. The specific objectives are to increase patrolling efforts and stop poachers in this highly isolated area, while also ensuring that wildlife criminals are arrested, prosecuted and sentenced to the full extent of the law. The result will be strongly upscaled anti-poaching capacity in the Djoua Ivindo Forest leading to improved protection of threatened elephant and great ape populations as well as other wildlife.